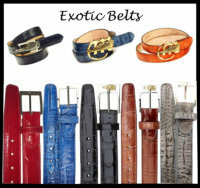 Exotic Men's International Collection from the Italian Designer's of Mauri Exotic Shoes. 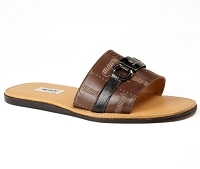 The Mauri Italian design handmade International Collection is unrivaled in the men’s luxury exotic sandal market. 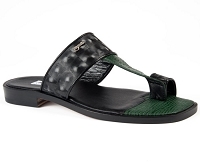 Mauri uses the finest exotic skins including alligator, crocodile, ostrich, lizard, and others to design a sandal that stands out in today’s market as no other. 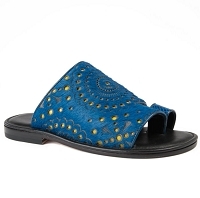 Every pair is handmade to meet the stringent demands of today’s modern man. The Mauri Arabic Collection is design quality, look and feel at it’s best. The quality is second to none and the prices for this top quality product are some of the best available today. Alligator is quality! It does not always show in a picture, you can't feel the difference in a picture, but in person the Alligator is much softer and has a high quality and very expensive look. The Alligator skin in addition to being softer is thicker and will hold up better. The Hornback name comes from the rough, sometimes pointed area of the back or topside of the Alligator. 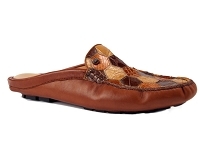 The belly is the underside and very smooth and makes a very formal and beautiful shoe. 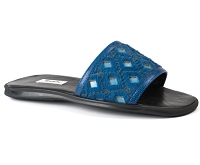 Which ever you choose, the Mauri exotic shoes are top of the line handcrafted quality. The Mauri International Collection is stocked in Italy and can be delivered to Europe quickly. Deliveries to the United States require approximately three weeks for delivery. 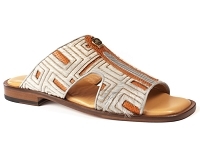 Our Mauri exotic shoe line can be delivered within the United States and Europe. European product will be shipped from Italy direct.